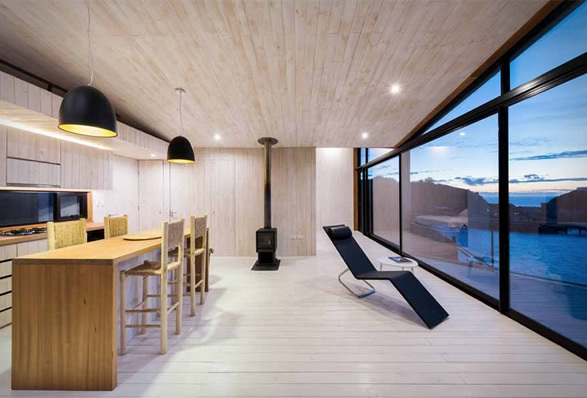 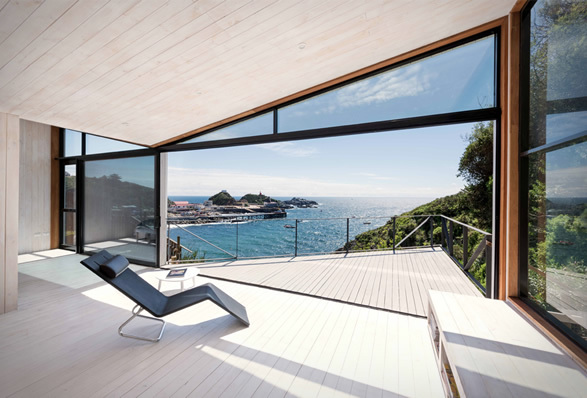 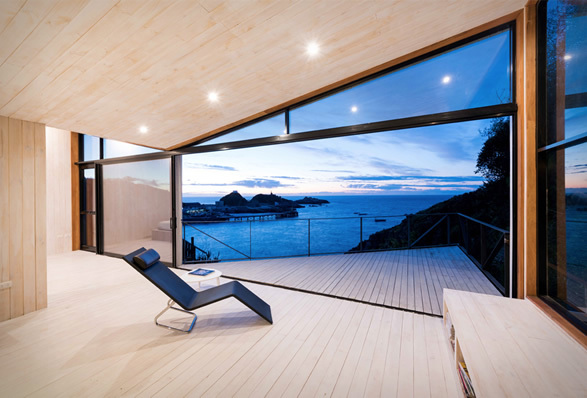 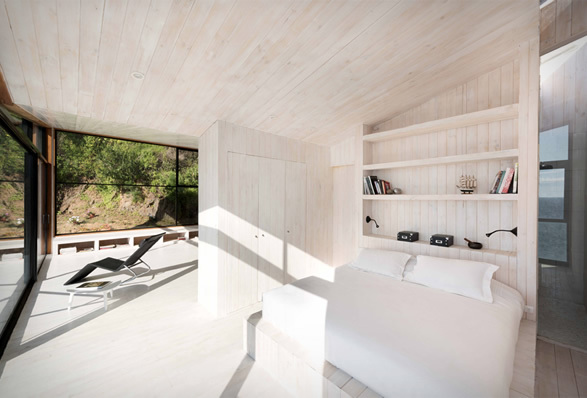 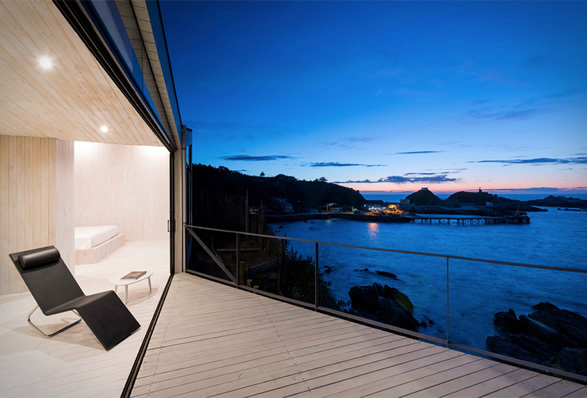 IA House is the perfect bachelor pad, a 60-square-meter crib strategically placed in a picturesque setting, raised atop a green cliff in Chile’s coastal village of Quintay, with spectacular panoramic views of the Pacific Ocean. 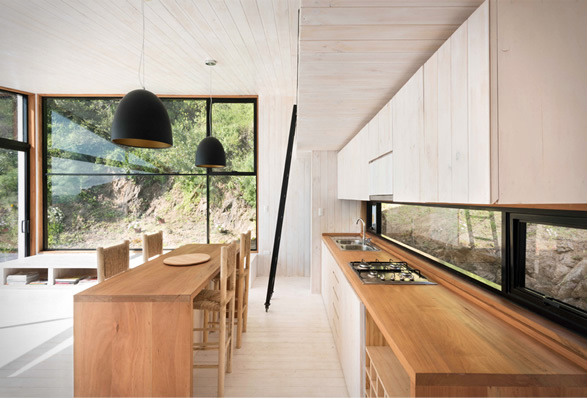 Designed by Santiago-based Joannon Architects, the elevated home features a beautiful minimal decor, and has an open-plan dining, kitchen, and living room area that opens up to a triangular outdoor deck that is perfect for entertaining guests. 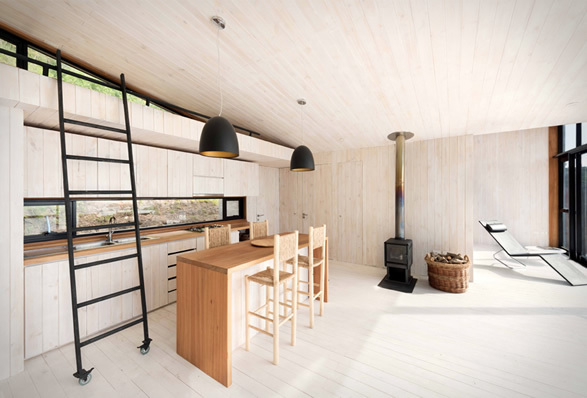 The house also features a master bedroom that is separated from the communal area by a closet, and a loft space above the kitchen for guests, reachable by a sliding ladder.